1. Water is central to sustainable regional development, being a key factor of water, food, energy, and environmental security and a catalyst of cooperation between the states in Central Asia. 2. The region’s countries have seen substantial progress in the area of water resources management at the interstate and national levels. 3. 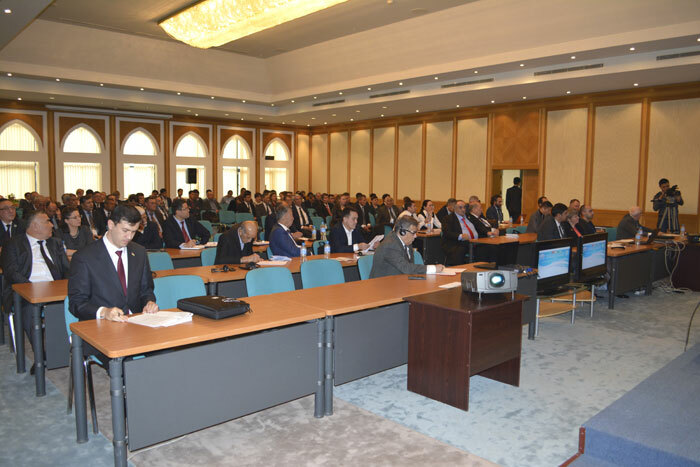 The ICWC of Central Asia, established upon initiative and in good faith of the region’s countries, plays the key role within IFAS in the promotion of interstate water cooperation in the region. Despite four dry and three extremely high-water years, conflicts were avoided thanks to cooperation under the aegis of the ICWC. Building on inextricable community and interconnectedness of water-management systems in Central Asia, the ICWC and its executive bodies have achieved significant results in the development of specific tools for cooperation. 4. Legal and institutional conditions were created in the Central Asian countries for implementation and development of the principles of integrated water resources management (IWRM): completed or on-going transition to hydrographic principle of water management, also through the establishment of basin administrations, councils and water user associations. It is recognized that IWRM is a key tool of “green growth”, climate adaptation and water-food-energy-environment nexus. 5. Measures were taken to promote up-to-date resource- and water saving technologies and best practices and for modernization and technical upgrade of irrigation systems. 6. Some progress has been achieved in improvement of water accounting in irrigation systems and along main canals. 7. 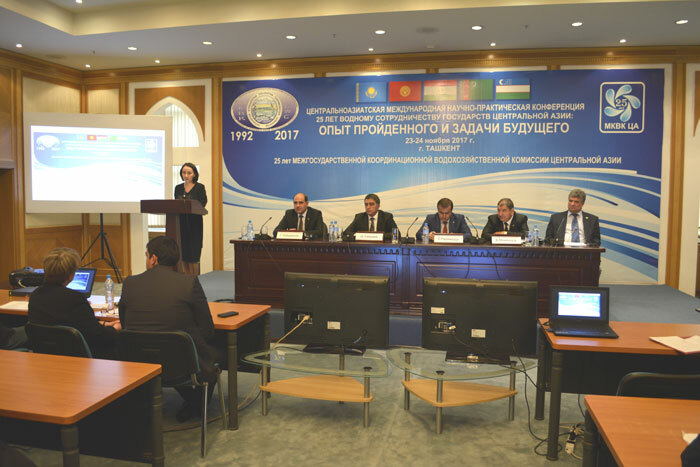 The states of Central Asia, also with the support of development partners, continue activities related to water sector professional development. 8. The efforts are taken to protect and restore aquatic ecosystems, including restoration of the Northern Aral Sea, development of a system of small water bodies in Southern part of the Aral Sea and afforestation. 10. At the same time, we are concerned that by 2030, the available freshwater per capita is expected to decrease in the Aral Sea basin in light of the declining water resources because of climate change and increased demands for water by growing population and national economies. Make use of the advantages and the platform of the International Decade of Actions "Water for Sustainable Development", 2018-2028, and other platforms acceptable to countries to strengthen cooperation for the purposes of mutually agreed and mutually beneficial solution of the region's water and energy problems. 12. We acknowledge the significant contribution of the UN agencies, international financial institutions and other development partners in the support of country actions towards enhanced interstate water cooperation. We underline the importance of continuing substantive engagement in the spirit of partnership and shared responsibility. Once again underlining urgency in finding solutions to the acutest problems of the Aral environmental catastrophe, call for consolidation of efforts at the regional and international levels and for donors’ support in overcoming further the problems in the Aral Sea basin. We thank the Government of the Republic of Uzbekistan, organizers and development partners for organization of this anniversary Conference in Tashkent and for an excellent setting for productive work.